A Chinese Crested's short snout, beady eyes and white whiskers earned the title of World's Ugliest Dog at the annual contest in Northern California on Friday. 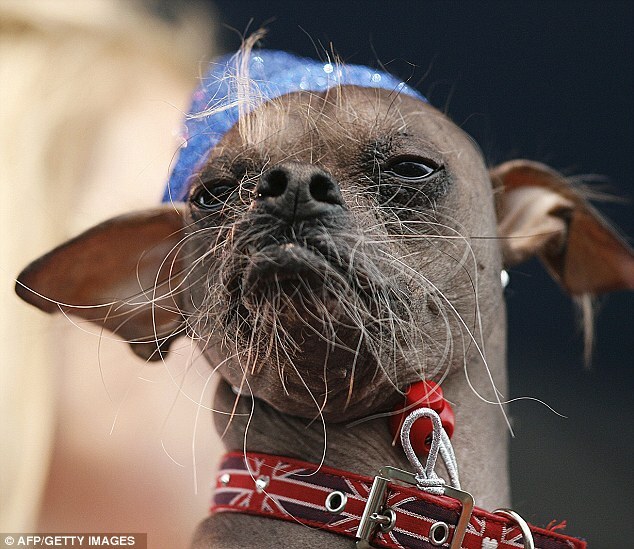 Competing for fame, $1,000 and a year's worth of dog cookies, Mugly won the honour by beating out 28 other ugly dogs from around the world. Congrats to the dog. It's so ugly! They need to have a human version of this competion. Lol.